Eddie Lampert’s ESL Investments Inc. will finance its winning $5.2 billion bid to salvage Sears Holdings Corp. in part with $850 million from a new asset-based loan, according to a regulatory filing Friday. The deal will also be financed by ESL’s forgiving $1.3 billion of Sears debt that it holds, and with $621 million of existing senior debt that’s being rolled over to the post-bankruptcy company, the filing said. The new Sears will assume another $592 million of other liabilities tied to Sears entities. Bank of America Corp., Citigroup Inc. and Royal Bank of Canada have committed financing for the asset-based loan. Lampert is also receiving real estate mortgage financing from hedge fund Cyrus Capital Partners, which has extensive ties to Sears.The deal can be terminated if it hasn’t been approved in bankruptcy court by Feb. 8 or if the transaction hasn’t closed by Feb. 19. 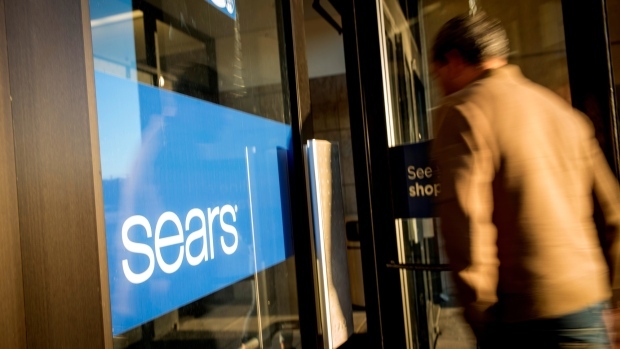 Sears will additionally assume up to US$166 million of payment obligations for inventory ordered before the deal closes and US$139 million of 503(b)9 claims, a type of payment owed to vendors and suppliers. The bid will save 45,000 jobs and pay US$43 million toward severance costs. Sears employed 68,000 workers when it went bankrupt in October. ESL will also pay $35 million to be released from some legal liabilities, but the payment won’t cover claims related to the spinoff of Lands’ End Inc., Seritage Growth Properties or Sears Canada. People familiar with the matter said during negotiations that Lampert had asked for such a guarantee to head off claims from creditors who said he unfairly profited from earlier bailout transactions. Sears is working with Lazard Freres & Co. as its investment banking adviser and Weil, Gotshal & Manges LLP as its legal counsel. Lampert’s ESL is working with Moelis & Co. as financial adviser and law firm Cleary Gottlieb Steen & Hamilton.